I'm intrigued by the topos of varying season lengths brought to us in the Game of Thrones universe. I think it makes for a brilliant and versatile backdrop for the story, and it is something I'd like to explore in different settings also. The seasons vary greatly in length, and happen somewhat infrequently. There was a summer that lasted for at least 9 years (the one coming to an end during the story told). Supposedly there were winters that lasted for 10 years. There still exists the notion of a "year" - suggesting that even within a long winter/summer/... there are still some regular yearly fluctuations to be observed. It seems the cycle is hard to predict - otherwise the Citadel/the maesters would probably have figured it out. This doesn't mean that it has to be random, but suggests that the cycle is at least long/complicated enough that a prediction is not obvious to observants with mediaeval means. For all I know the whole season-length variation theme is mostly prominent on a single continent (Westeros) - but it could be global also, with other locations simply being less extremely affected by it due to generally milder climates. I'm looking for a science-based answer to how these big variations in season length could come to be. I'm also looking for answers that will keep up the varying season lengths in perpetuity - and not just a series of disconnected freak incidents. The year is related to the motion of the planet around its star. When the star are back to a certain position, one says 1 year has passed. To account for season length which are in the range you ask, you could have a sort of variable star with small variation of intrinsic luminosity on an irregular period. When the luminosity is at its peak, you have the Y years long summers, when it is at is bottom, you have the X years long winter. I'd suggest something along the lines of El Niño/La Niña - complex, hard to predict phenomena that can minimize or intensify global weather patterns. For Earth, they can last 2 to 7 years, and effect all seasons across multiple continents. Granted, they don't completely delete seasons, but it's not hard to imagine their effect being more pronounced and/or longer lasting on a planet with different enough geography and oceanic currents. There also isn't anything to say that a world can't have more than one of this sort of phenomenon, and their overlapping cycles could make changes even more intense and less predictable. The seasons are driven by complex interactions, and while most answers already given here include a piece of the puzzle, none paint a complete picture, so I'll try to integrate some of the major factors. This is the main driver of seasons on Earth and affects both the duration of sunlight received in a day (the hemisphere more exposed to the sun will receive more hours of sunlight) and the directness of that sunlight (which affects absorption and reflection). The degree of tilt affects the relative strength of the seasons; for instance, if Earth's obliquity of the ecliptic was at or above 45 degrees, then when one hemisphere was tilted toward the sun it would experience dramatically longer, hotter days, while the opposite hemisphere would endure equally long nights. This plays almost no role in Earth's climate as our axis of rotation is stabilized by our Moon. If we lacked that stabilizing feature, Earth's axis would slowly wobble due to a variety of factors (sloshing of the ocean, flex in the crust, etc.) such that the tilt at one point in the orbit would not be the same at another point in the orbit. This could lead to significant variations in the length of seasons which may be difficult to predict. This directly affects how much solar energy is available to be absorbed by the planet. Earth has a nearly circular orbit, so we see less than 7% variation in available sunlight between perihelion and aphelion and this mechanism is therefore not a significant factor in our climate. A more elliptical orbit would result in a much warmer average temperature when close to the parent star, as well as an increased orbital speed at that closer distance. Conversely, the average temperature would be much lower and the orbital speed slower at the greatest distance from the star. This doesn't mean you'd have hotter, shorter summers and longer, colder winters, because summer and winter are mainly defined by axial tilt. A more eccentric orbit would affect the relative strength of the seasons. 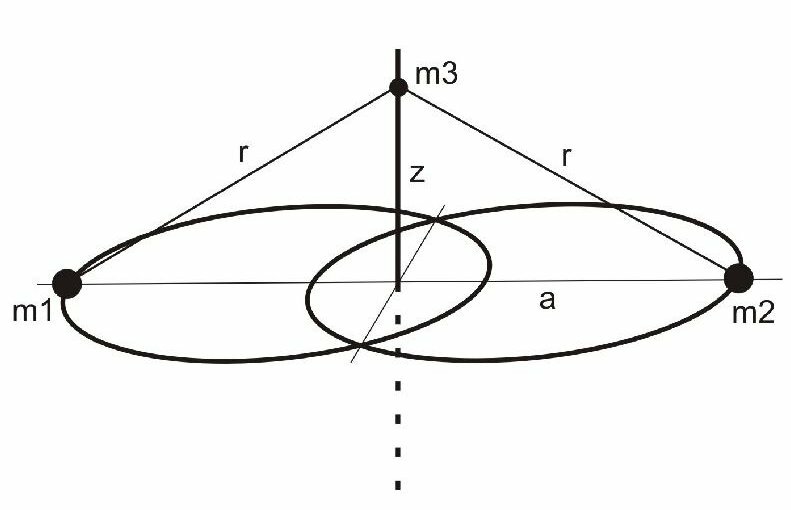 If the eccentric orbit was somehow coupled with variation in the planet's axial tilt, (e.g. the axial tilt wobbles once every 2 orbits, such that at perihelion on year 1 it might be summer in the north, and at the same point in the orbit on year 2 it's winter), then you might see more dramatic variations season length. Stars are not static objects, and their luminous and spectral output varies depending on their size, type, age, and other factors our scientists have yet to fully understand. Our own Sun operates on a roughly 11-year cycle of sunspot activity which has been shown to influence the seasons. 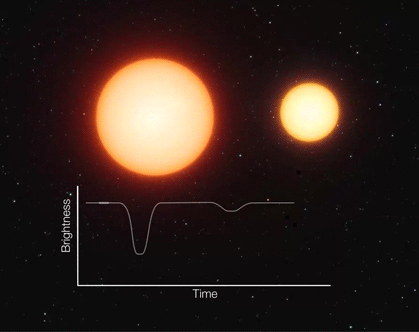 A more wild star, or a multi-star system, would have an even greater impact on the intensity and possibly the length of seasons. Earth is roughly 75% water, which absorbs sunlight readily and stores heat easily. Our clouds reflect light readily, but can also prevent heat from escaping back into space. As clouds move across the planet's surface, and as the planet rotates on its axis, different materials are exposed to the sun, the local reflectivity and absorptivity changes, wind and evaporation come into play, and we get the complex interactions that we call weather. This variation in the planet's ability to absorb and release heat is possibly the second-greatest driver of the seasons on Earth, and it is so staggeringly complex that many people still don't agree on how it works (climate change, anyone?). Venus is locked in an endless, brutal summer, not because it is closer to the Sun, but because its own weather readily absorbs heat but does not release it easily. Mars, by contrast, is entombed in eternal winter largely because it has almost no atmosphere to speak of, and thus can't hold onto what little sunlight it receives. Mixing and matching the above factors could yield a variety of unusual climates and seasons, without the need for bizarre celestial circumstances or magic. Although, it is fair to say that using the weather to justify unusual weather may require a bit of handwavium since that subject is so complex. Our own sun has an 11 year cycle of sunspot activity. This means it is 5 1/2 years from minimum to maximum activity. It could be some solar cycle that causes the season lengths. The reason we have seasons is because of the tilt of the earth's axis. Earth's orbit is like 99.9% circular, and doesn't contribute as significantly to the seasons. This almost implies that a more elliptical orbit could be catastrophic. It could be possible with precession though, if it was close to the length of the year it could cause long seasons. It would more likely be very regular and periodic though in that case. Earth's precession takes 26000 years per cycle. Many good answers here, but for a real world example, you want to look at Kepler 413-b. The tilt of the planet's axis varies by about 30 degrees over an 11 earth year cycle. (61 of its years). Astronomers believe the phenomenon is caused because it orbits a binary star on a tilted orbital plane. If you take the same phenomenon on a planet that orbits wider and slower in a system's habitable zone, you'd have winter and summer swap about once every 30 years, but during the years where the axis lines up with the star you would not experience seasonal change at all resulting in several years of winter at the poles and several years of summer near the equator. In England we basically only get winter in El Niño years, otherwise it remains mild and damp and snows only on high ground. If you give them a weather cycle similar to El Niño but is more pronounce and runs on a cycle over several years it's possibly not unreasonable for northern climes to have winter snows that don't melt for years on end or completely miss a winter here and there. Motion of the planet above and beyond the orbital plane of the stars in the Sitnikov problem. x-axis shows time in units of revolution of the primaries. y-axis gives distance from planet above and beyond the orbital plane. The plot shows motion of the planet for three different initial conditions. In the beginning, the motion is very similar, but after about 33 revolutions of the primaries, first differences appear and after 60 revolutions the three initial conditions develop into totally different types of motion. The red line shows a planet moving very far away from the stars in one direction; the blue line shows the same behaviour with a planet moving away in the other direction. In both cases a very long and possible endless winter would begin. The black line shows a planet that continues to have a more or less regular sequence of seasons. Configuration of the Sitnikov problem. m1 and m2 are two stars and m3 is a planet, moving perpendicular to the orbital plane of the stars. from the many explanations brought forward by other authors to explain the seasons in the world of “Game of Thrones”, none is able to satisfyingly address all details. There is only one astronomical explanation that works and that is the celestial mechanical case of the Sitnikov problem. 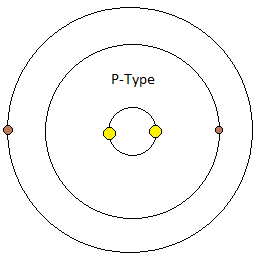 Two stars and a planet that orbits along a straight line perpendicular to the orbital plane of the stars can build a planetary system, that has all the properties to reproduce any desired sequence of seasons. Not only that, but due to the nonlinear properties of the Sitnikov configuration and the mathematical theorem of Moser it is proven, that there is no sequence of seasons, however strange and obscure, that can not be found on a planet in such a system. I second the "Binary Star" hypothesis. If there is a system with two start that are wildly different in size, one of these stars will be the center of that system, orbited by everything (including the second star). if the two stars were roughly equal size, they would orbit each other, but a massive and a dwarf star would have the massive star as a clear center. now, this planet would track its' "year" by passage around the primary star, but the relative location of the secondary star will make a great difference to the overall temperature of said planet, making for extended summers if it is close, and extended winters when it is far away (especially is the planet is on the colder end of the "Goldilocks zone"). A Binary star system in which they orbit each other relatively close to each other (thus from ground observers it appears as one star, hence the GoT universe) But the stars have vastly different solar outputs. Star A: High solar radiation. Star B: lower solar radiation. Add in an elliptical orbit and the stars orbiting relatively slow you have the possibility of being aligned to the high output star for a multitude of years with a variance of cool and warm allowing recognition of a year. Then a shift starts to occur as you face the lower output star which blocks the higher radiation of Star A. The best explanation I have seen for the unpredictability of seasons in the Game of Thrones universe, is that their world has rapid Milankovitch Cycles. As has been suggested in other answers, but not entirely explained, the Earth's ice-ages are driven by the interaction between several varying cycles. The most important of these are Precession, Axial Tilt, and Eccentricity. Because the three cycles have very different periods, they align or misalign to create what would be a highly unpredictable pattern to those who do not have an understanding of the astronomical causes. On Earth, these cycles take tens of thousands of years, so they are not obvious on the scale of human lifetimes, but if they each had much shorter periodicity, they would act in effect as a highly unpredictable seasonal cycle. Lets start with what we can rule out. Here on earth, the seasons depend on the axis tilt of earth to sun. That There is a bit of wobbling, but not enough for summers that last years. So what else can be responsible for varying season lengths? Different sun activity. Our sun is not a static shining light. It is a violent nuclear reaction. So maybe it could be explained by different activity of the sun. Global warming / cooling. There could be a lifecycle of species that have effects on climate change that the citadel knows nothing about. A planet with no moon would wobble on its axis much more than Earth does. This could create rapid climatological changes that people living on that planet might perceive as changes to the length or quality of their "seasons". Earth's seasons are regular and predictable because our axial tilt doesn't wobble that much, so as the Earth revolves around the sun the amount of sunlight received at any latitude during any month tends to remain constant. A planet with a rapid and notable wobble to its axial tilt would not have that regularity and predictability. Specific to the Game of Thrones world, it is my understanding that their odd seasons began when their moon was destroyed by a cosmic impact. That science isn't great, because their moon was only shattered and not utterly destroyed, but it may be Martin's intention that the season "problem" is related to the moon "problem". Right now the northern hemisphere has its winter at the point in its orbit where it's closest to the sun. Hence, the winter is slightly less intense. Every few dozen thousand years, these "line up" and the northern hemisphere has winter at the farthest point in its orbit. The winter gets more extreme, enough for an ice age. The focus is the northern hemisphere because the southern hemisphere has so much ocean moderating the temperature and preventing these extremes. I think a faster, more extreme version of this phenomenon could work. So every ten or so years, the tilt and eccentricity line up. On top of that, the eccentricity and tilt would be varying in intensity, causing more or less extreme versions of the long summer+winter pattern. Within these epicycles, the planet is still orbiting and still causing annual seasons. I don't know if this more extreme version is physically possible. This doesn't solve the "maesters can't predict it", since Wikipedia says that axial precession has been analyzed accurately for a long time. Maybe there are lots of feedback loops: trapped methane, albedo, forest cover, etc., that would vary the length of each period within each cycle. Maybe the rates of precession of each phenomena are changing from other astronomical bodies. This could combine with the El Nino idea; maybe the particular area gets a warm current from somewhere (like Europe does) but some of the orbital cycles will sometimes stop or reverse this current (if the axial precession is severe enough, there might be noticeable changes in Coriolis forces driving the current!). A planet without axial tilt, or very minor axial tilt would normally appear to not have seasons. Significant changes in volcanic activity would introduce artificial 'seasons' that could last many years. An increase in volcanic activity would indicate the start of winter. The length and severity of each winter would depend on the amount and type of materials released in the eruptions. On the converse, a decrease in volcanic activity would bring about summer. Imagine a planet with such volcano moderated seasons on the inner edge of its star's Goldilocks zone. When the volcanic activity is at a minimum, the planet would boil, huge tropical storms would rage in some areas, while others suffer drought. When the activity is at a maximum, the planet would freeze. The ideal situation then is to be in the Long Spring: Some steady volcanic activity, not enough to bring about winter, but enough to prevent summer. Not the answer you're looking for? 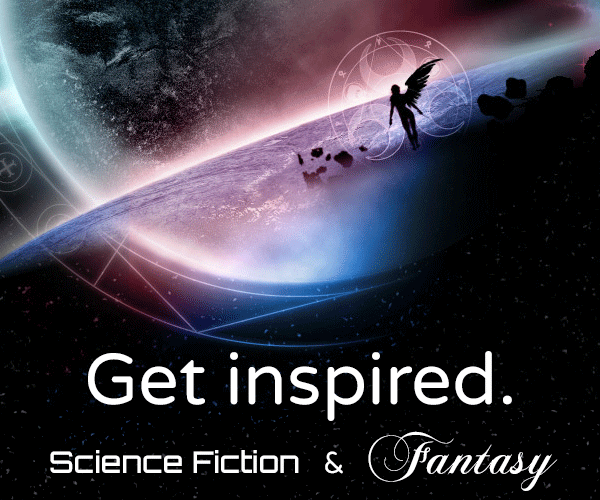 Browse other questions tagged science-based planets seasons or ask your own question. Seasonal progression for an Earth-like planet with wobbly axis tilt? How would life adapt to survive in an environment with winters of varying length?